"A' Paranza" restaurant is the ideal place for enjoying a fantastic traditional dinner, based on simple and genuine ingredients. 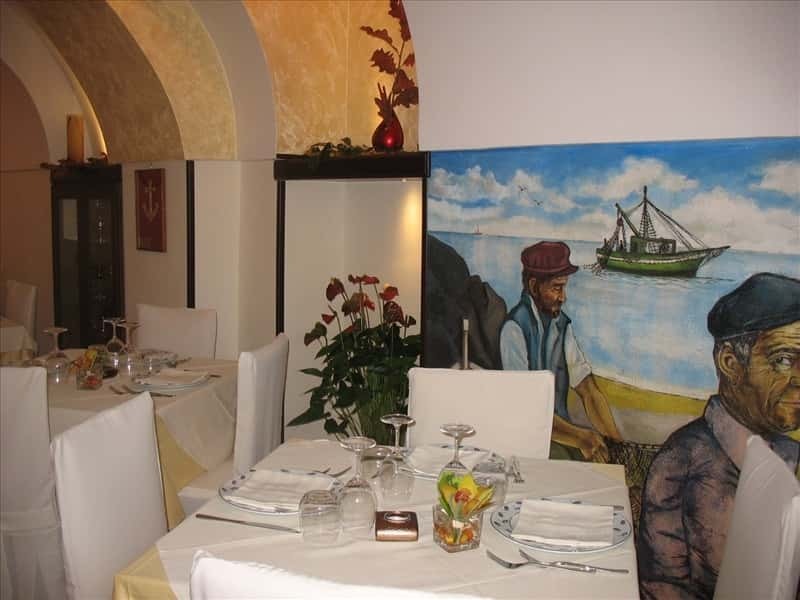 It is located in Atrani, one of the most suggestive and picturesque towns of the Amalfi coast, not too far from the famous "piazzetta" (small square). The atmosphere is sober and informal, the service is friendly and attentive. It is directly managed by the owners who, smiling, give you suggestions and tips. The menu is not characterized by bold combination of the ingredients or complex preparation, typical of gourmet cuisine. Here freshness and top-quality of the ingredients, enhanced by a simple and traditional cuisine, are the keywords of a successful dinner. The wine list is really well stocked, composed by labels from all the Italian regions, at reasonable prices. We decided to sip a bottle of "Ca' Del Bosco Cuvée Prestige" (35 euro per bottle). The sea appetizer was fantastic! Many different delicacies served in different trays: marinated anchovies and dried cod, fried Mediterranean fish, grilled razor clams, rolls of duckbill, fried anchovies, squid and potatoes, a stuffed pumpkin flower and a slice of "sarchiapone" - a typical traditional dish from Atrani, consisting in a long gourd stuffed with meat -. A delight for the palate! The first course is composed by two different dishes: a portion of "risotto with prawn cream" (the reason we decided to dine here! A delicious creamy risotto, perfectly whipped with generous pieces of prawn) and one of "candele pasta with tuna genovese" (a symphony of different flavors, perfectly combined together. Al dente pasta and the yellow-fin tuna has all the flavors of the sea!). Cigarette break: talking with the owners we decided to enjoy a portion of fresh king prawns, lightly cooked with a lot of lemon juice. Probably it is the right way to taste the natural flavor of this spectacular seafood! Finally the dessert. We had a portion of typical "pasticciotto di Atrani" and one of "melanzane con la cioccolata" (eggplant with chocolate). The first one is a typical cake from Atrani, with lemon cream, cherries and short pastry. The second one, indeed, is a typical cake from Maiori and although many people may turn up their nose thinking that a dessert could have a vegetable as first ingredient and, moreover, combined with chocolate, I can assure you that this cake is a real delight. Dense dark chocolate, perfectly fried eggplant, walnuts, dried fruits and candies: a symphony for the palate! Local housewives usually take more than a day for the preparation of this dessert; here, at "A' Paranza" restaurant the "eggplant with chocolate" are prepared by the skilled hands of the chef! Our dinner ended with a local liqueur, flavored with orange and anise, and a cup of coffee. The bill: 40 euro per person, wine excluded. After this successful dinner, we strongly recommend "A' Paranza" restaurant in Atrani, our favourite restaurant on the Amalfi coast!